If you're using Docs, your customers are likely reading through your help articles before getting in touch. The Docs report helps you understand what your customers are searching for, what they're finding and not finding, as well as what percentage of customers are still sending an email after browsing. Note: If your report doesn't look quite like what you see in the article below, these changes are coming soon! Take a peek at Updates to the Docs Report (March, 2019) for more info on the changes you'll be seeing. If you have any questions, just let us know! How many people are visiting our Docs site? Take a look at the Visits count. If it's lower than expected, you might consider adding a link to your Docs site in your email signature, to an email blast, or just changing where the Docs link is located on your website. Implement Beacon to allow quick searches from every page and even tailor the suggested articles by page. If your goal is lead with self-service and drive customers to do a bit of digging before contacting support, your Docs site and Beacon should be visible and easily accessible. Are customers using Beacon or the Docs site more? Use Views to view data for specific Docs sites and Beacons. If Beacon is proving more useful overall, consider implementing it in more places or investing some developer resources to build it in to your app. Are customers finding what they're searching for? 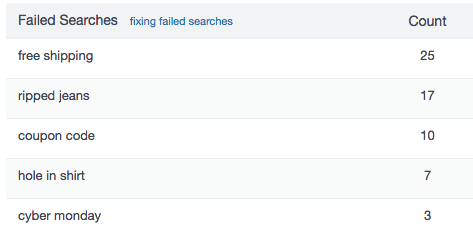 The Failed searches table shows you a list of common terms and search phrases your customers are using to search for articles. If you start to see a trend in failed searches, or high counts for certain terms, it might be time to write more articles, or simply re-word some of your article titles to make them more specific. It's also worth adding keywords to your articles to boost them in search results. Which articles are getting the most hits? Keeping tabs on your most viewed articles is a good way to identify what your customers are reading. Should so many people be reading the same article, or would it be wiser to make that topic or feature more clear somehow within your product or on your website? 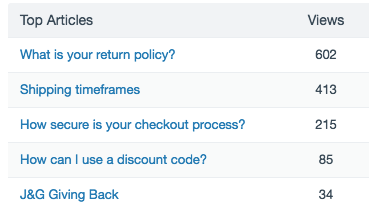 On the flip side, you might look at this table and decide that these articles are doing their job, so there's some incentive to keep them fresh as your product or service evolves. What sources are included in the Docs report? The Docs report reflects all views and searches performed on your Docs site. 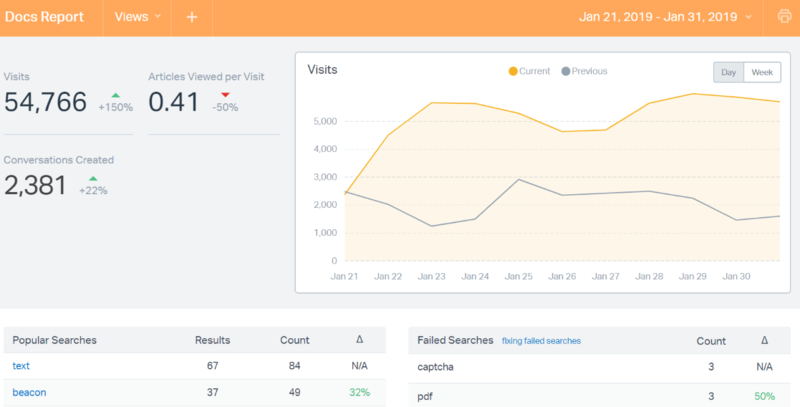 Visits for Beacon are calculated when a visitor performs a search in the Answers section or opens an article. If your team is using the Docs search bar in the reply editor, those searches are not included. Searches done via the API are also not included in the report. If you want to include viewing activity for articles served via the API, call the Update View endpoint. Views registered using that endpoint will be included in both the Top Articles and Top Categories tables.